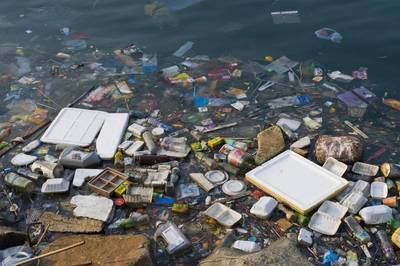 Pope Francis, who has spoken strongly for action against global warming in recent years, called on Saturday for people to work together to stop the world's oceans filling up with plastic waste. "We cannot allow our seas and oceans to be littered by endless fields of floating plastic," the pope said. "We need to pray as if everything depended on God's providence, and work as if everything depended on us." The pontiff's comments are from a message for the fourth annual prayer day "for the protection of creation" that is celebrated with other Christian denominations. United Nations figures show eight million tonnes of plastic -- bottles, packaging and other waste -- enter the ocean each year, killing marine life and entering the human food chain. Francis wrote a major document called "Laudato Si" (Praised Be) on protecting the environment from global warming in 2015. The pope has sided with those who believe global warming is at least partly man-made and has praised scientists who are working to keep the earth's temperature under control.